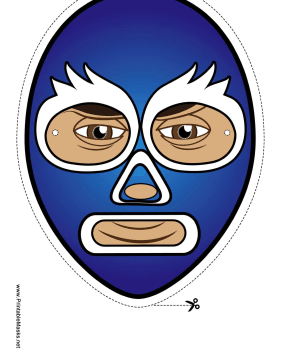 A blue wrestler mask like this one is perfect for a luchador costume. White decorations make this lucha libre mask even more elaborate. This mask is free to download and print.